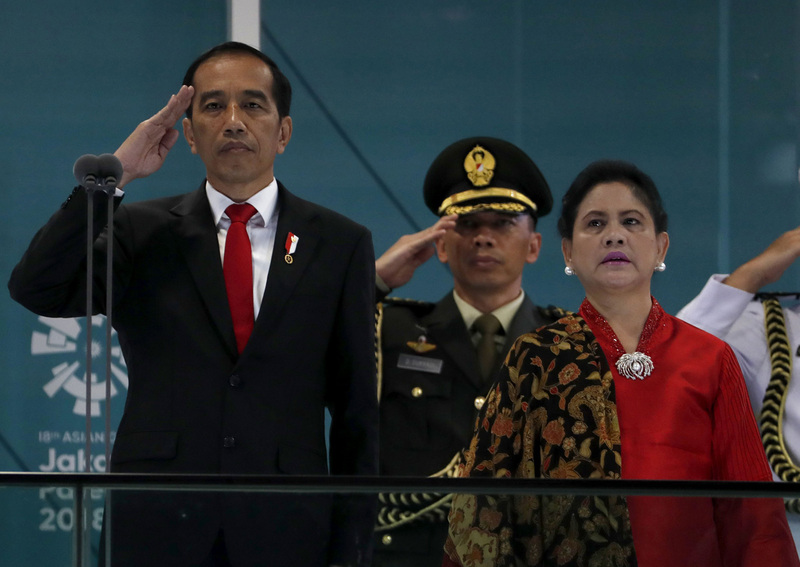 JAKARTA - Indonesian President Joko Widodo has created a buzz on social media after a video sequence shown at the opening ceremony of the 18th Asian Games culminated with the 57-year-old leader roaring into Jakarta's main stadium on a powerful motorcycle. 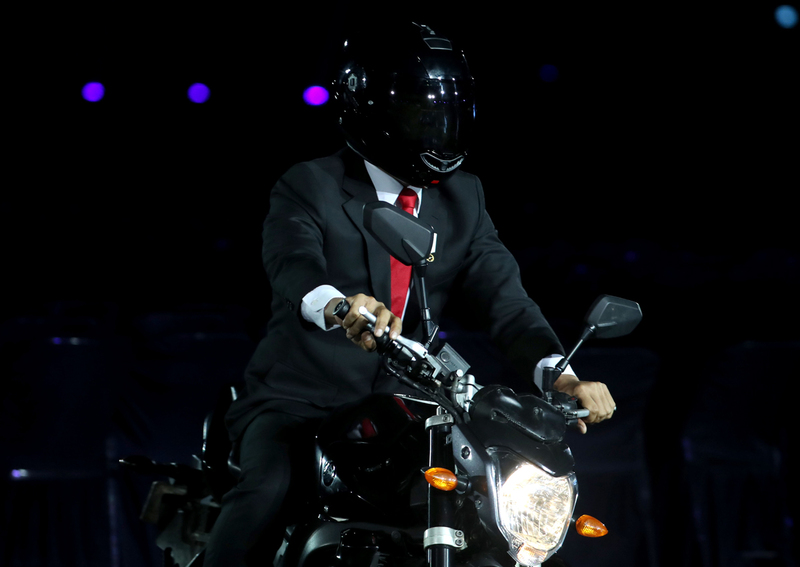 After his motorcade is held up by Jakarta's notorious traffic, the tongue-in-cheek video showed a formally dressed Mr Joko hopping onto a motorbike and apparently leaping obstacles and navigating alleyways before riding into the stadium. A seemingly unruffled Mr Joko then took his seat before opening the Games last Saturday evening at a spectacular ceremony involving around 4,000 dancers and a 600-tonne tropical landscape stage set complete with a volcano. By yesterday, the video of his dash across the city had more than 800,000 views on a YouTube posting by official broadcaster SCTV. It has also been a hit on Twitter, with the hashtags #proudtobeindonesian and #stuntman trending in the South-east Asian country, where many of the 260 million people are avid social media users. One Twitter user with the handle @dethabun even likened the performance of the President, who is often known by his nickname Jokowi, to actor Tom Cruise in the action movie Mission: Impossible. "This is only in Indonesia, My President looks a like @TomCruise on Mission Impossible movie, Bravo Pak @jokowi, You're da Best..," the tweet said. Some noted that the stunt appeared to draw inspiration from London's 2012 Olympic Games opening ceremony, where a video including a cameo performance by Queen Elizabeth and also James Bond actor Daniel Craig appeared to show the British monarch skydiving into the stadium. Indonesian media has speculated over what parts of the President's video were actually carried out by a stunt actor rather than Mr Joko, a self-confessed motorcycle fan who is often depicted riding motorbikes. Some commentators and social media users also suggested it would be irresponsible for him to actually do his own stunts, pointing to the risk of an accident or even militant attack. An opposition politician accused Mr Joko of using the ceremony to try to try to burnish his image with young voters ahead of elections next year.